View. 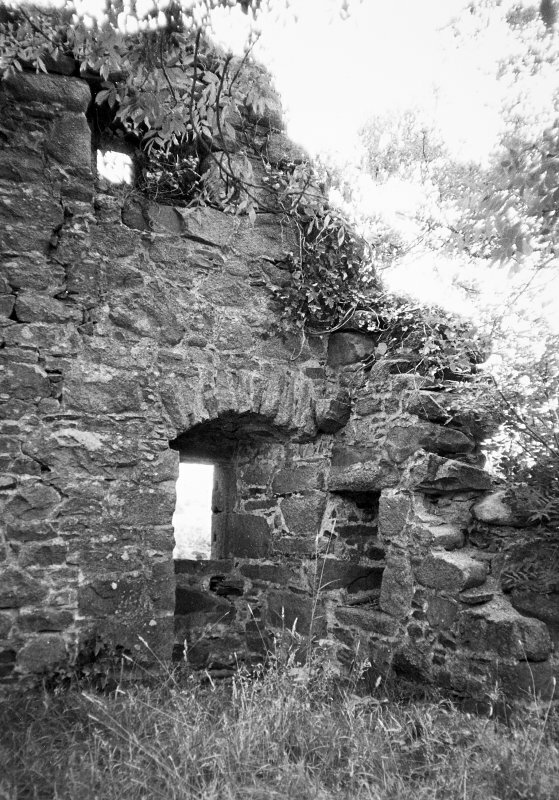 From NW showing entrance doorway and interior of S gable. 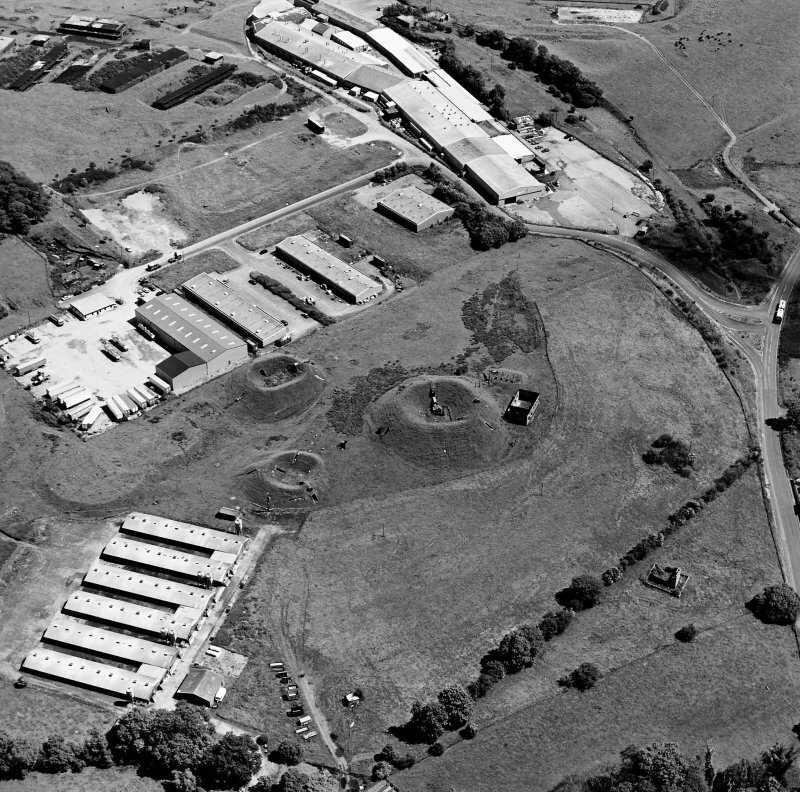 Oblique aerial view centred on Unit 2 of the explosives works and armament depot, showing the earthworks for the charge houses taken from the S. Also visible is Edingham Castle, Edingham Industrial Estate with Edingham farm poultry houses. 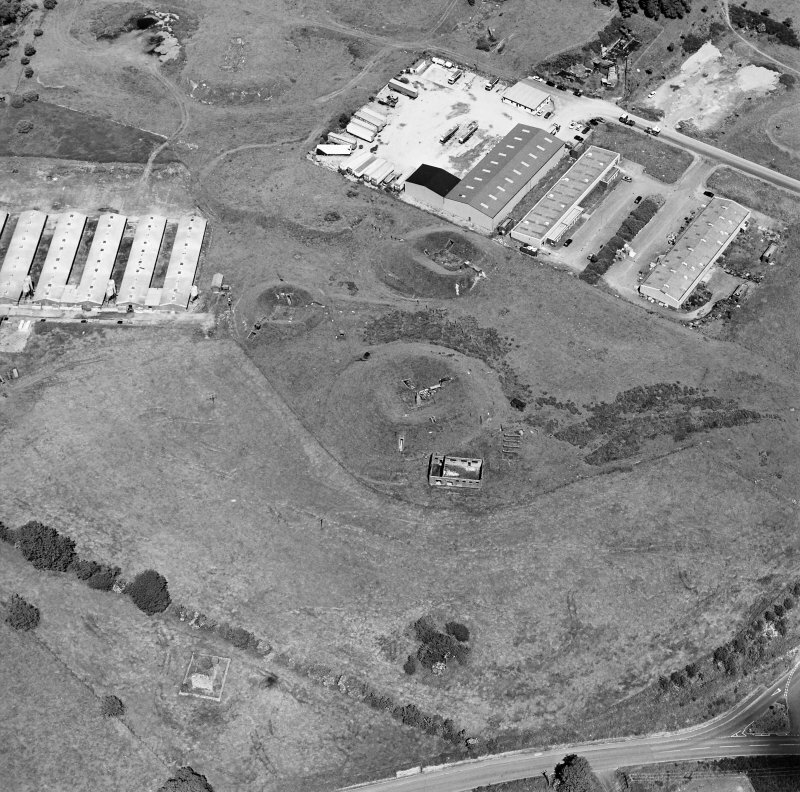 Oblique aerial view centred on Unit 2 of the explosves works and armament depot, showing the earthworks for burette houses and charge houses taken from the NW. Also visible is Edingham Castle, Edingham Industrial estate with Edingham farm poultry houses. View. From ESE showing window opening onSE elevation. View. From S showing window openngs, S gable and SE elevation. 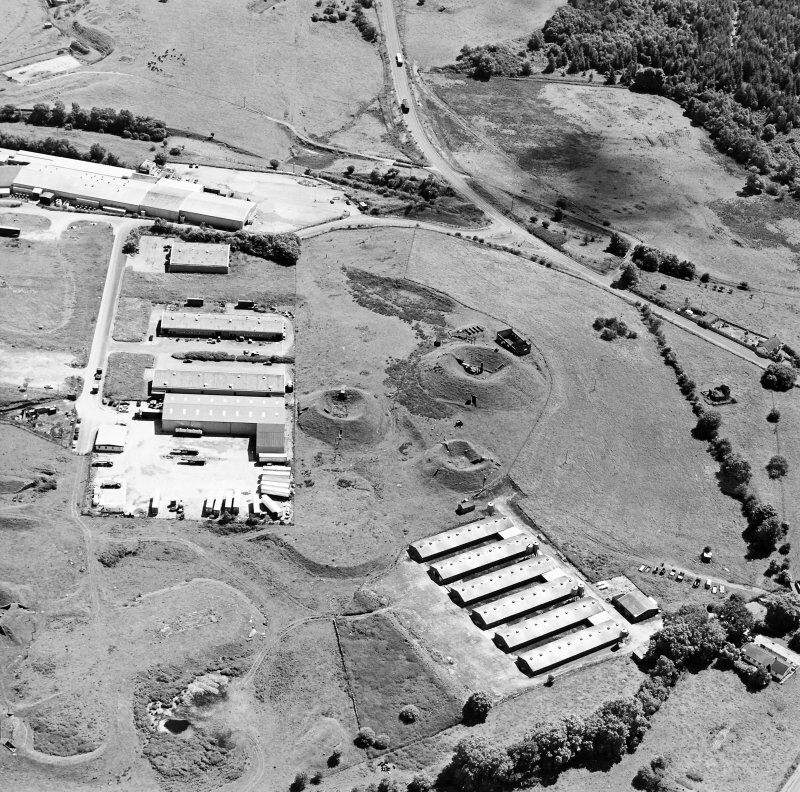 Oblique aerial view centred on Unit 2 of the explosives works and armament depot, showing the earthworks for the charge houses with in the background the S canteen and loading banks. taken from the NW. Also visible is Edingham Castle, Edingham Industrial Estate with Edingham farm poultry houses. Detail. NW Entrance leading to vestibule and vaulted basement. View. 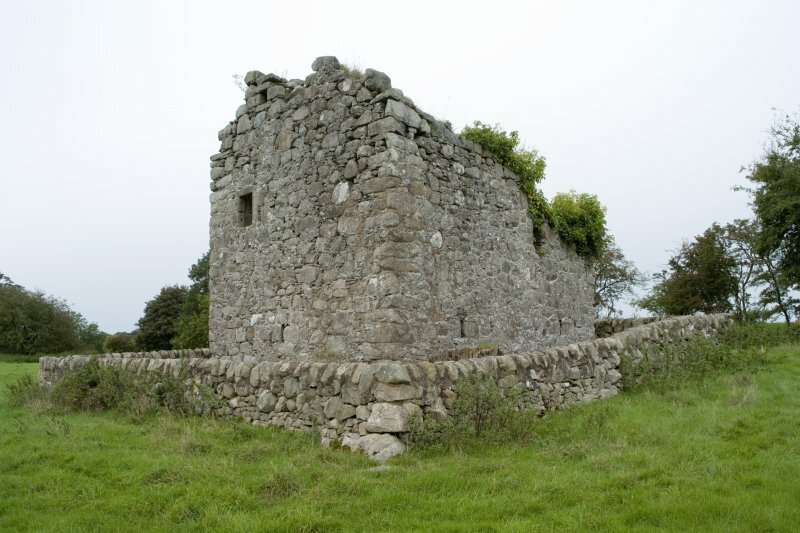 From SW of S gable showing window opening and slit window. 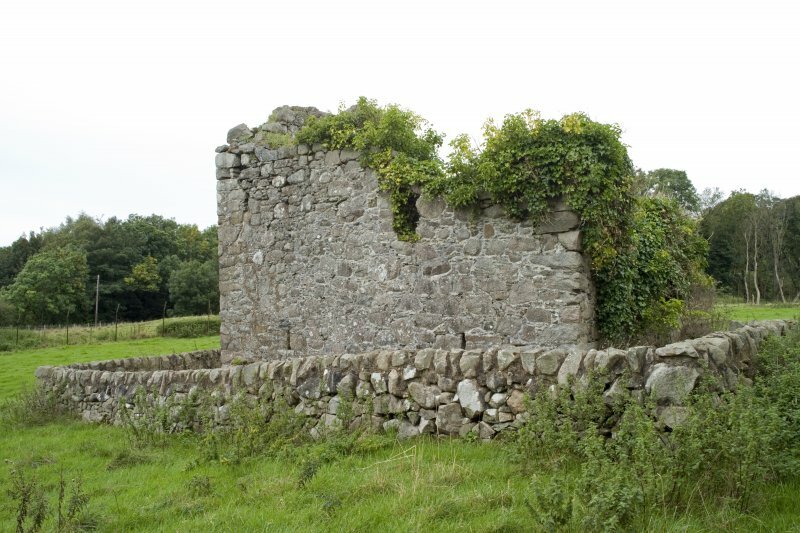 (NX 83936266) Edingham Castle (NR) (Remains of). The plan of Edingham Castle suggests that it is early 16th century. It is a complete ruin. 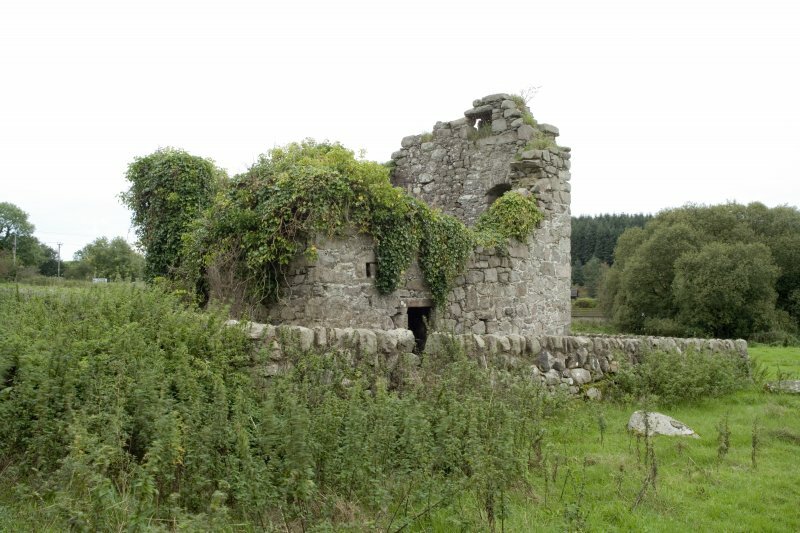 The ruins of this castle are situated about 1 mile to the north of Dalbeattie. On plan (see Fig.183, RCAHMS 1914) the structure has been of the plain rectangular type, measuring 21 feet by 12 feet 4 inches within walls varying from 3 feet on the east side to 4 feet 6 inches on the west side. 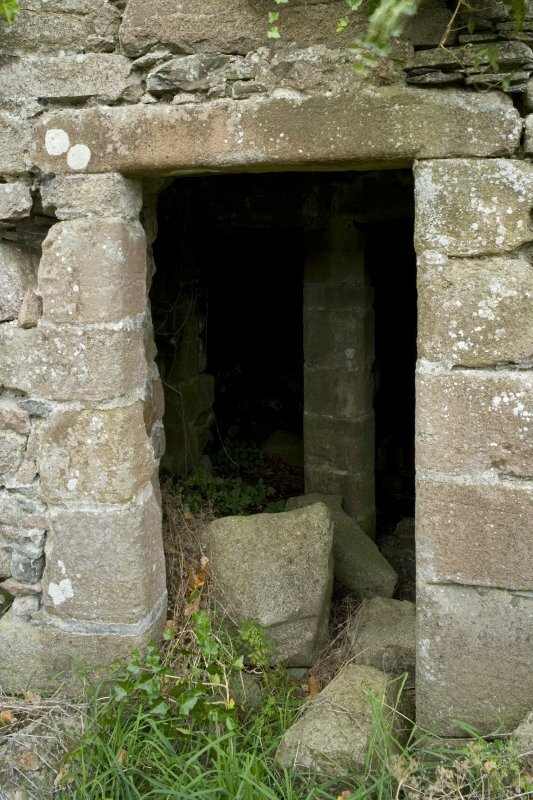 The entrance has been from the north-west, leading to an irregularly shaped vestibule at the foot of a wheel-stair in the thickness of the wall, from which two doors have led to the vaulted basement. 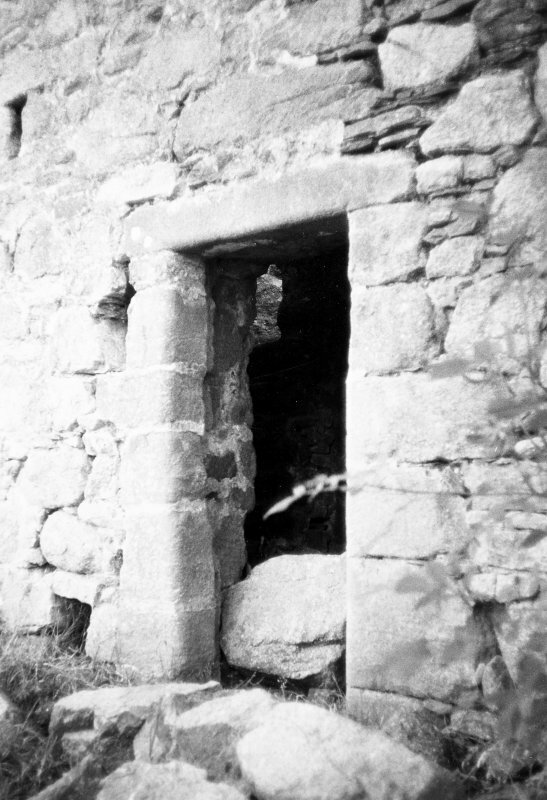 It has been lighted by narrow windows on three sides, and was probably at one time divided into two apartments by a cross partition from the central division of the doorways, as at Cardoness (NX55NE 11.00). The staircase has communicated directly with the two upper floors, now represented by a fragment of walling at the south-west gable. The castle is in a state of complete ruin. 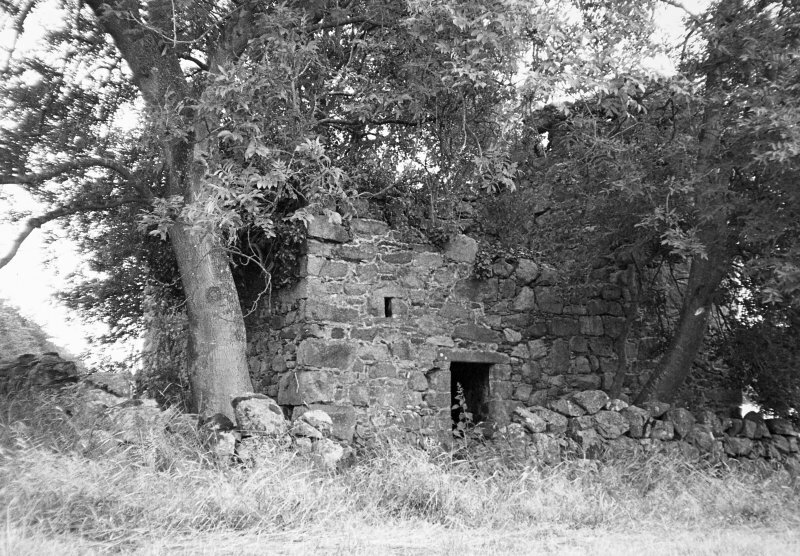 The floor of the vault is covered with vegetation, and the walls are ivy-clad. 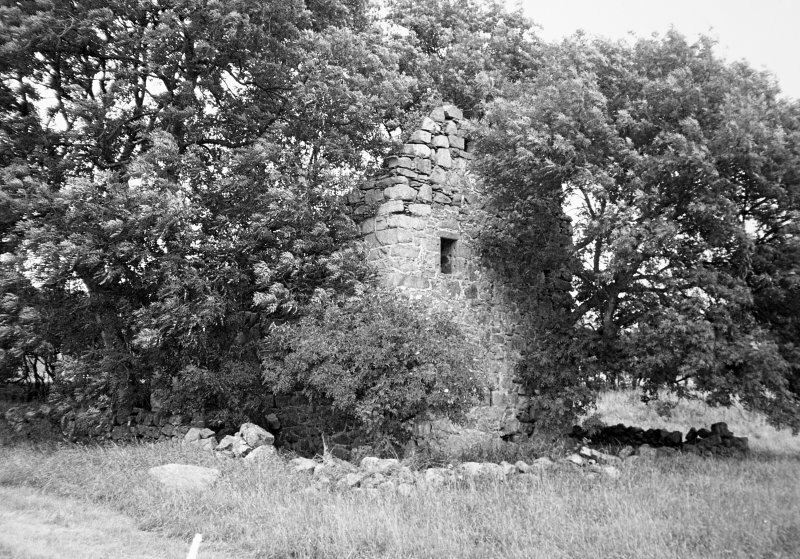 It is surrounded by a dyke which prevents cattle from getting inside the building, but in other respects is entirely neglected. Indictations can still be seen of what was possibly an outer ditch- a probable feature, seeing that the castle does not occupy a position of natural strength. 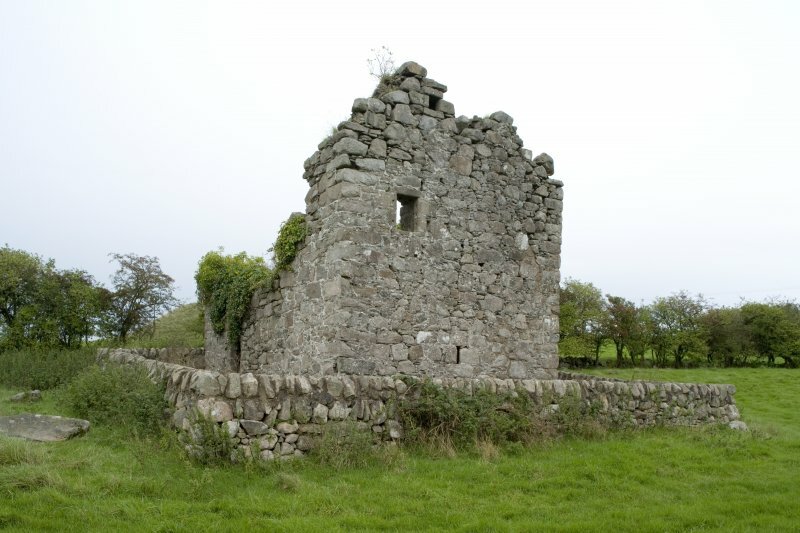 There seems to be no history recorded of this building, but judging by the form of plan it appears to date from the first half of the 16th century. The remains consist of a roofless rectangular building the ground floor of which is occupied by a barrel vault more or less intact. In the north west angle a turnpike stairway leads to the floor above. The remains are in a ruinous condition.